Although a beautiful patio is nice for sitting out and enjoying the budding flowers of spring, gorgeous weather of summer and vivacious foliage of fall, it does you no good in the brutal Ohio winters. 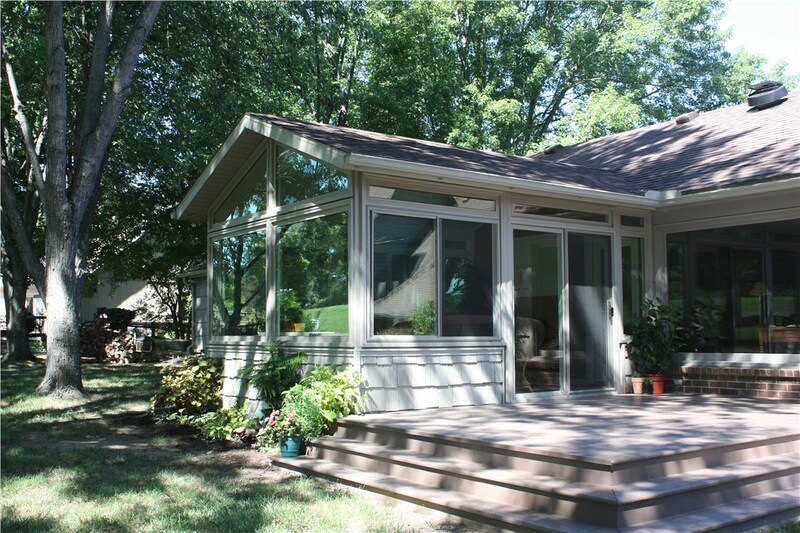 At Perrysburg Patio & Sunroom, we specialize in building porch enclosures in Toledo that allow you to enjoy your outdoor space all year round. 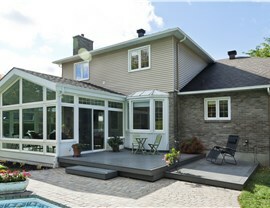 Our solutions will not only improve your quality of life, they’ll also increase your home’s value. Regardless of your needs or budget, our talented builders will work with you to design a solution that will make the whole neighborhood green with envy. 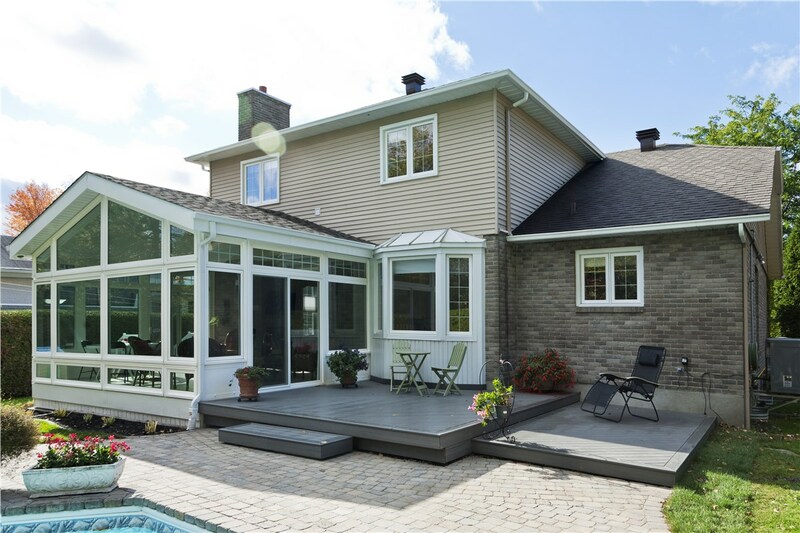 If you’re looking to install an addition to your house and want to remove your deck, there’s no need. 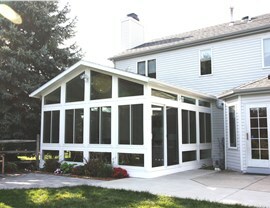 We will simply erect some walls and windows around your existing space to create your custom Toledo patio enclosure. Whatever you want added – whether it’s Low E 3 glass for energy-saving purposes or a cathedral roof to give your new room a more spacious feel – our skilled designers will implement it for you with ease. 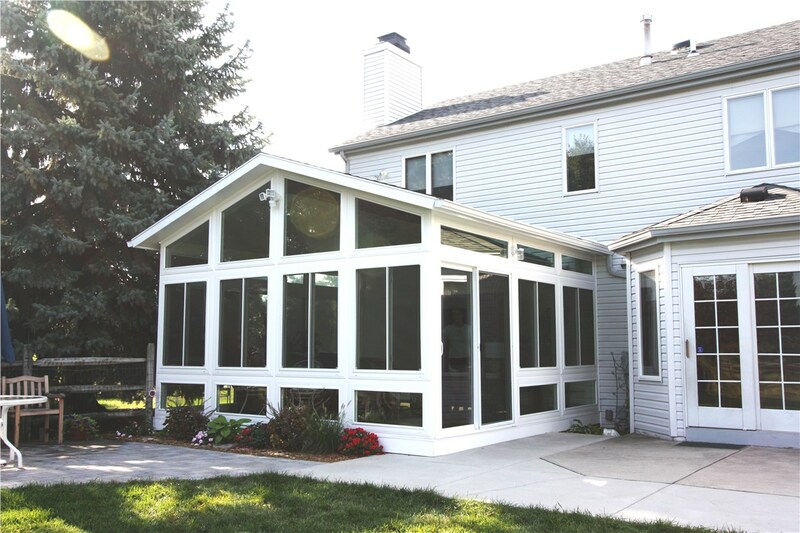 Most importantly, when deciding to add a Toledo patio enclosure to your home remember that our crews are comprised of industry veterans. 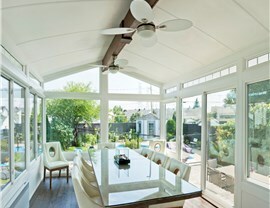 They’ve been around the block more than a few times and know all of the dos and don’ts of installing a screened-in deck. Because of this, rest easy knowing that your addition is in the capable hands of professionals who know their stuff. Are you ready to relish in nature and all of its beauty from the comfort of your own home? 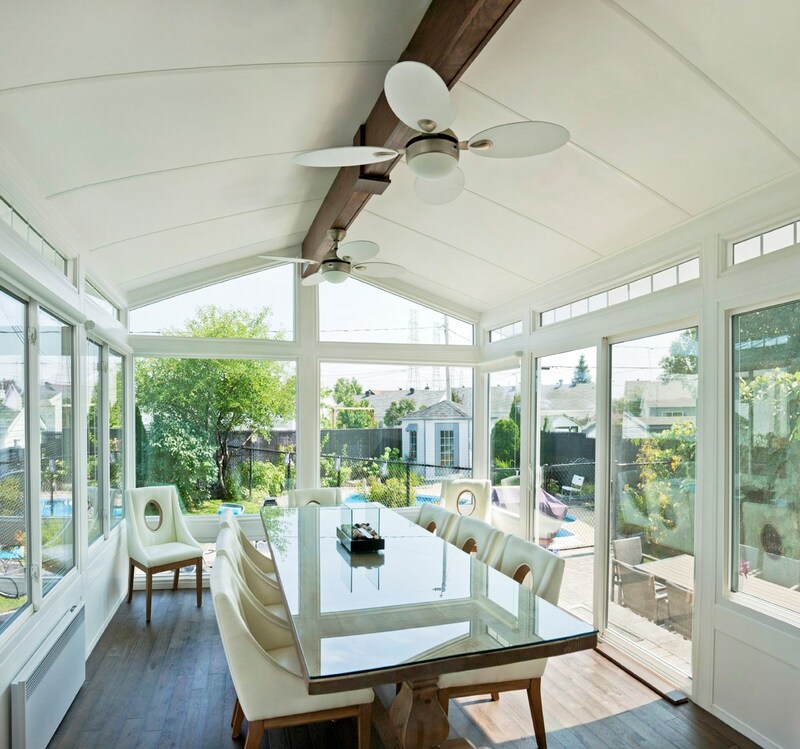 Contact Perrysburg Patio & Sunrooms today to speak with one of our helpful representatives. 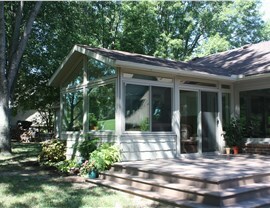 They’ll work with you on getting your porch enclosure project in Toledo started. Call us or fill out our online form to receive your free consultation!